Talon’s NEST facilitates remote infrastructure monitoring, allowing you to Network, Enhance, Share, and Transform data instantly through our cloud-based system. Our unique system hierarchy and robust search engine allow you to easily access your videos, images, and analytical data at the time of need on any device. Talon specializes in high resolution data capture for the cellular, power and petroleum industries. The NEST is where we house complete datasets that include HD videos, photos, and PDF’s. Additionally, clients can start live Talonview® sessions to collaborate in real-time with engineers, technicians, and subject matter experts to make instant decisions. All of our data is stored in the cloud for easy access to our NEST across various platforms from anywhere in the world. Once the data is collected, it is transferred to our content editing team where it is organized and packaged for delivery to the NEST. Enhancing the data to make it actionable enables our customers to see an immediate ROI through our 3D models, measurements systems, live annotations, and safety inspections. Sharing your data has never been easier or more organized. With an ever expanding variety of search filters you can easily find and catalog your data. Collaborate with colleagues in realtime or simply invite them to access your data at their leisure from any device. Gone are the days of hand written notes, 35mm film, and filing cabinets. The ability to make instant decisions based on actionable data is upon us. We provide unique views that were impossible in the past. Our ability to transform your content into decision making data is revolutionary. The NEST can house multiple assets inside a single structure. Explore, share, and collaborate in real time using interactive PDFs, 4K videos, 3D models, and high resolution imagery. Talon captures only the highest quality videos and photos to provide our clients with the data they need. Through the NEST, clients are able to see and assess important details on their assets without ever stepping on site. Use the interactive map to quickly find structures in the NEST. Structures are geo referenced and tagged for easy navigation based on address, type, height, lat./long., or any client provided identification. Use the NEST to store your data. Allow Talon to create and manage a custom branded portal for you and for your clients data. E-commerce ready and branded for you. 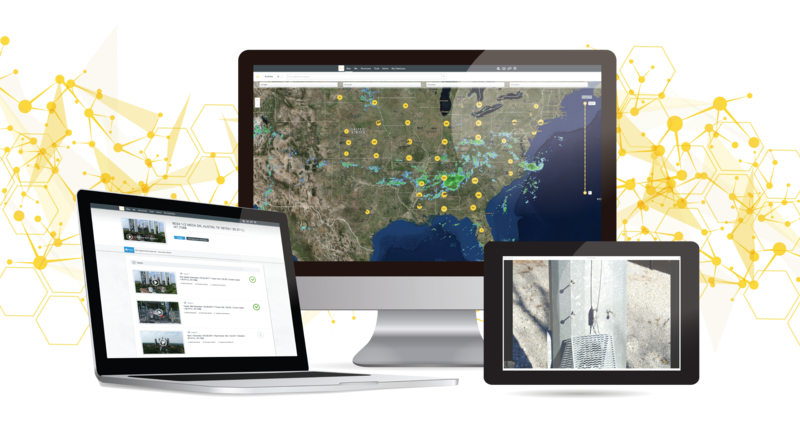 Talon has captured over 8000 assets in the southeast, including every cellular tower in the state of Georgia. Explore our complete datasets in the NEST.